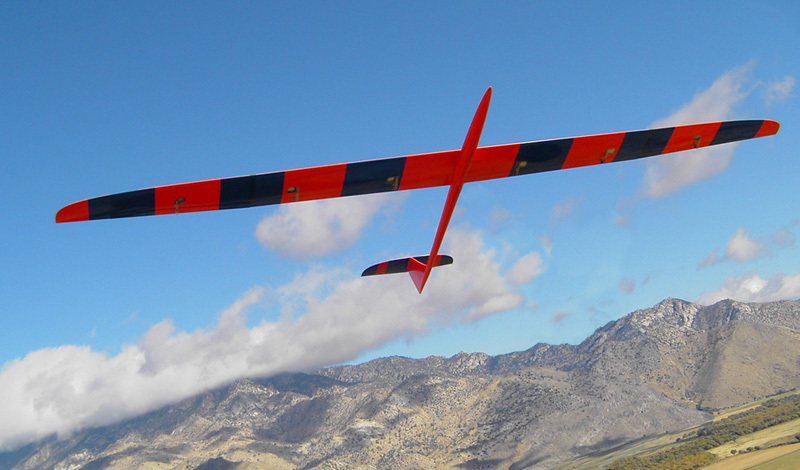 On October 25, 2010, the first 130” KineticDP Prototype became the third fastest DS plane in the world at 403mph at Weldon, Ca on its maiden flight. After playing with the numbers for a while, it became apparent that more speed could be had from the Kinetic line of models by pushing up the aspect ratio and wingloading on the Kinetic 100DP. The only question was how far I could go and what it would take to get it there? I decided to stretch the span to 130" while keeping the root chord as is. This was accomplished by replacing the original 40" center panel with an all new molded 70" center panel. All of other parts are shared with the original 100". The tail volumes on the 100" were slightly generous to start with and the 130" stretch is about as far as I think I can go without having to make another fuselage mold with a larger vert stab. 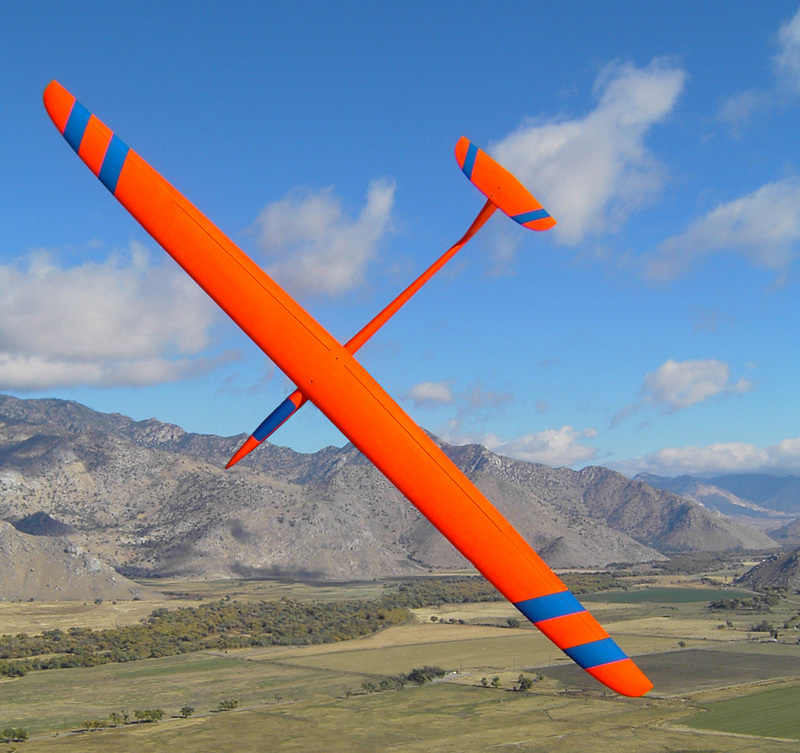 The result is an AR of 17.5:1 which combined with an increased wing loading should be capable of 10-20% higher speeds for a given windspeed! My goal with this plane is to do more with less, such that the detriment of mach effect will be delayed beyond the 500mph barrier. I can't wait to get some wind to test things out! The flaps are full span being driven by (4) MKS HV747 servos with the help of a JR matchbox. The flap servos have been dramatically improved with the external bearing modification described in another thread. The result is completely rock solid with NO flex or play whatsoever! I'll be making these center panels available for any Kinetic owner to buy, or purchase the complete plane, price pending depending on layup.